You're coming up on a new project launch, or maybe re-evaluating your marketing goals for the upcoming 4th quarter, and you need content to get the word out and generate interest and, well, deals. So you draft a 3-month content marketing plan. Okay - this may be a simplistic plan, but I just saw one pretty much like this. Don't get me wrong, there's lots of good basics in here, but there are some bigger fish to fry. Unless you know, and have documented, the Back Story for your campaign, you're going to go off track. You may even, heaven forbid, lapse back into company-focused "me, me, me" speak. Back Story is your orientation (think of a compass). It includes all the things you need to consider before you can begin to generate a content marketing plan, or the content you'll need for execution. 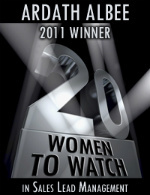 Focus - who are you marketing to? Hint: You can't use commas. Think segmentation. Or, if you must use commas, then think about creating content tracks with focused high-value content for each group. They all won't care about the same things. Urgency - Why will any of your content get noticed and acted upon right now? Do not tell me it's the iPod giveaway. 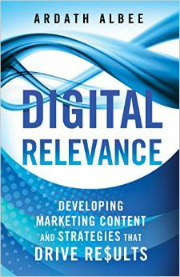 Relevance - for prospects and bloggers - what's in it for them? Make it personal, be authentic, and think about perspective - not yours. Story - what's the story and how does it connect throughout all of your tactics and build momentum for 3 months? No, you cannot get best results by sending out the same message ad nauseam. And yes, there should be recognizable connective threads between your content pieces for a campaign. Each one should build upon the previous exposure/impression. Differentiation - why is the value you offer different (and more compelling) than your prospects' other options? Dialog/Interactions - what are your calls to action and how will you respond once they're acted upon? 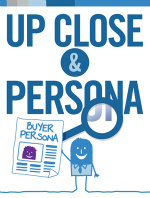 How are those responses designed to pull buyers closer and build engagement? Metrics and Measurement - how will you know you've succeeded? The goal of a # of leads to give to sales is too broad. Why will those leads be worthy of monopolizing a salesperson's time? How will you know? What are the other possibilities? If you generate less leads than that #, will your marketing campaign be a failure? There are other things to consider, but this should get you started. Unless you have a solid Back Story to guide you, it's likely that you'll lose your way and produce a campaign that relies on one-off communications that don't get the attention you'd like to have from your target market. 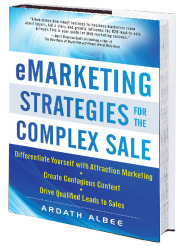 Summer Reading: Marketing Strategy Lifts Sales, from Todd Cabral at The Science of Marketing Blog. Attract and Retain Customers with Content, a free white paper from Joe Pulizzi, author of Get Content, Get Customers.